The store owner speaks..: The 3 P's - past, present and preferably the future. The 3 P's - past, present and preferably the future. This quite possibly historical as I will get...and as dry. At least, that is what we are hoping for. In 1987, I could not have known what kind of road Boulder Body Wear would take me. Looking back at the past, I look at my job "on the Hill" as a wonderful way to be in the verve of Boulder while working my way through CU. We were located on the one way headed east part of Pennsylvania Ave between The Sink and Wave Rave. Door open whenever the sun was shining and the heat wouldn't run every 5 minutes. 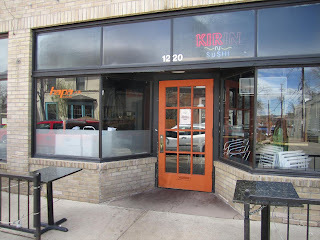 Our little 425 square feet store was where I would learn about business, dance, community and become an adult. It is a miraculous thing that my gut and my heart glued my feet to the floor. 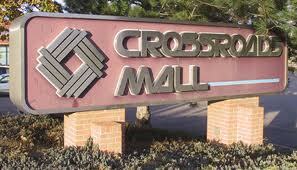 From there we moved onto Crossroads Mall and continued to grow. Being in a mall gave us a new perspective on our customer base. Suddenly we were able to reach more dancers, more women who wanted to shop local and more had opportunity to expand into all of the markets we had hoped to reach. Luckily we were not smart enough to NOT pay the rent or work the crazy hours that the mall imposed upon us. As one of the last businesses open in Crossroads, we can say that our stint in a mall, although expensive in many ways, was very good to us and shaped our future into something pretty wonderful. From here, you must know, Boulder Body Wear grew into the professional, experienced entity it is today at the Boulder Marriott. We love our customers, many who have been with us all 25 years. I have learned about what makes a community- you have shared your families, your troubles, your triumphs. We consider all of you family. I don't say this lightly....I have introduced husband & wife, seen divorce, experienced the births of a dancers and been taken with them thru their professional careers. We have been with together with you through sickness and even death. We have created, educated, and developed together throughout it all. Sometimes we succeed, sometimes we even think we fail. I, and we, have been truly blessed by you our family and friends..our customers. We continue to have the door open when the sun is shining, the wind is not blowing (too hard), and we are not running the heat or AC too often. Hoping that you will come in and join us. So that is our past. From here is our present and our future. Should you care to read my blog in the future, it will be full of life in the store, which will include all that we experience and is about 90% of my life. Dance, fashion, community, family and friends. It would be very hard for me to completely separate the professional from the personal, so I am not going to try. You will get tidbits about single parenting, being single in middle age (let's just call it that), as well as info on arts and dance in Boulder and beyond. We will laugh. Please stay tuned....as preferred, the future is arriving.